Oracle CEO Larry Ellison may believe Apple is doomed but not everyone shares that sentiment. 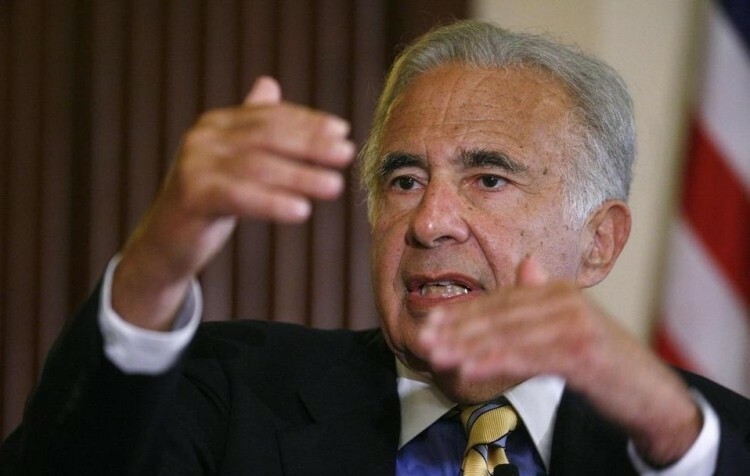 Prominent billionaire investor Carl Icahn recently took to Twitter to reveal he’s taken a large position in Apple. Icahn said his company believes Apple is extremely undervalued and as such, invested more than $1 billion according to reports. A follow-up message on Twitter noted the investor had a “nice” conversation with Tim Cook where he discussed his opinion that a larger buyback should be done soon. Speaking with CNBC, Icahn said a buyback is a “no brainer” for Apple. He plans to follow up with Cook again shortly, we’re told. Share value in Apple shot up nearly five percent following the news, closing at $489.57 per share – good for a six-month high. The stock is up another 0.70 percent in after hours trading as of writing. Just to put it into perspective, his tweet added close to $12.5 billion to the company’s market cap in less than two hours. In a statement on the matter, Apple said they appreciate the interest and investment of all of their shareholders and confirmed that Cook had a “positive” conversation with Icahn. Icahn’s move comes just one day before large investors are required to disclose second-quarter holdings and a few days after reports surfaced that Apple would unveil its next iPhone on September 10. According to analyst Gene Munster from Piper Jaffray, the next year is going to be big for Apple and Icahn probably though it best to speak with Cook and invest sooner rather than later.